“Annually, we stand as a law enforcement community in our nation’s capitol to remember local heroes like Sgt. Cory Wride, Sgt. Derek Johnson and Trooper Aaron Beesley for their courage and ultimate sacrifice while serving as peace officers in Utah communities. After almost two years of respite from such loss in our state, we sadly add 18-year veteran Officer Douglas Barney to that hallowed list. We pray for the complete recovery of Officer Jon Richey, who was also shot in the line of duty today. 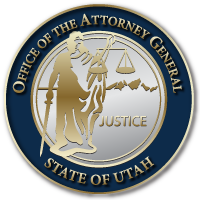 The Office of the Attorney General and I, personally, mourn for all who are impacted by the loss of Officer Barney to our Utah law enforcement family. We express our deepest sympathy and gratitude to his family and pray they will find some peace in his valor and distinctive service as he and Officer Richey today protected citizens and their fellow officers from what could have been an even more widespread and senseless tragedy.